Once you finish your online course, you'll want to see what it looks like from your customer's perspective. Pro tip: Every course comes with a beautiful sales page that's been tested and optimized for conversion. Step 2: Next, click the "3 dot" icon on the far right of your online course to open up the dropdown menu. Click "Preview sales page." 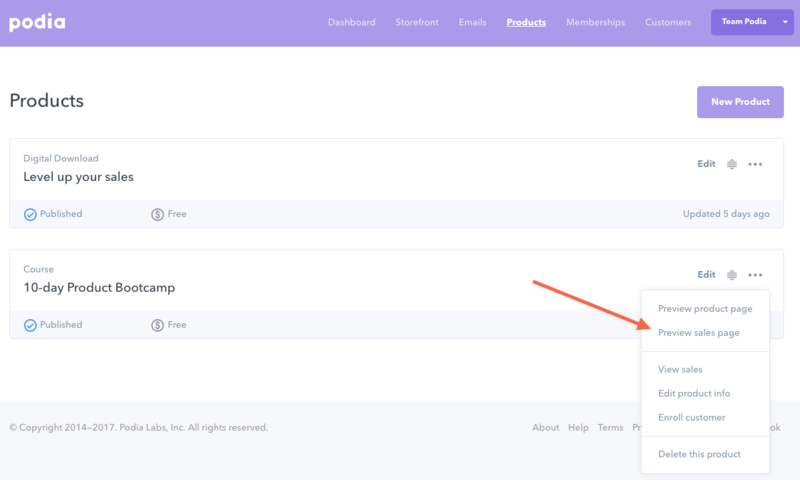 Your sales page preview should now pop-up for your viewing pleasure. If you have more questions about how to preview your online course sales page, just reach out to us at [email protected] (or just click the little blue icon at the bottom right of the screen).